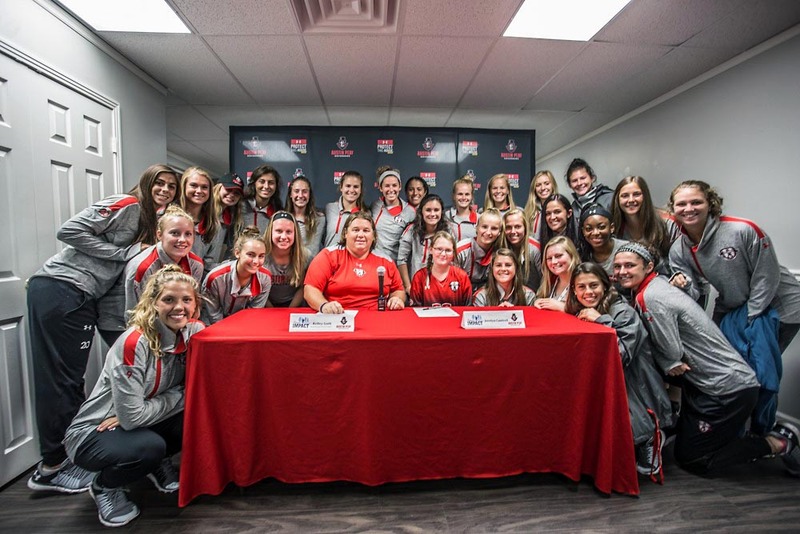 Clarksville, TN – Austin Peay State University women’s soccer, in conjunction with Team IMPACT, held a press conference Wednesday for the signing of 13-year old Jocelyn Cantrell, who is battling Neurofibromatosis. Team IMPACT is a nonprofit organization based in Boston, MA founded by Tufts University alums and student athletes, Jay Calnan, Dan Kraft, Dan Walsh, Kris Herman and Robert Tishman. The program’s mission is to improve the quality of life for children facing life-threatening and chronic illnesses through the power of team. Through the organization, Jocelyn will become a member of the Governors Soccer team, attending practices, games, team dinners, events and more. Govs head coach Kelley Guth sees Cantrell as an inspiration and is thrilled to have her join their program. Since its inception in 2011, Team IMPACT has matched 1,200+ children to more than 450 colleges and universities in 46 states, reaching over 35,000 participating college athletes. The child gains great strength, camaraderie and support and the student athletes are taught lessons about courage, resiliency and life perspective they can’t learn in a classroom. Cantrell and the Govs kick off OVC action 3:00pm this Friday at Eastern Kentucky and 2:00pm this Sunday at Belmont.